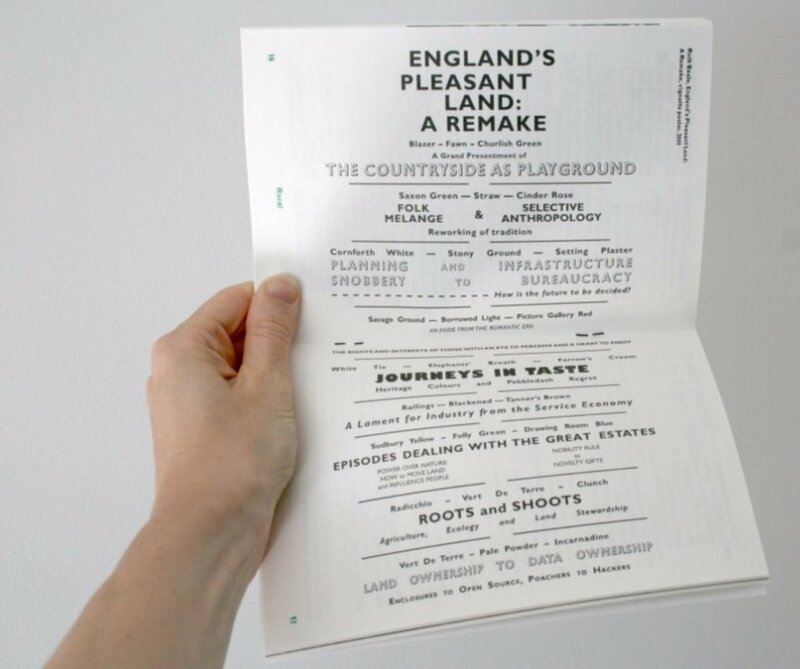 An exhibition that brings together artists, film-makers, composers and academics who use research-led practice to interrogate the different modes of sharing and interpreting information and ideas relating to public space. In the context of the theme of Brighton Photo Fringe 2016 – the commons – and exhibiting in a space dedicated to the intersection of art and ecology, we will be considering these ideas through explorations of data and land ownership, the relationship between labour and resources, the spaces of activism and how we define our public space. With works including Ruth Beale, Marie Yates and Leah Borromeo and Katharine Round of Disobedient Films with composer Jamie Perera. Through a series of events, screenings and workshops alongside the exhibition we hope to encourage active participation in the debates. The exhibition is organised by Hemera Collective, a UK-based curatorial collective that specialises in photography and lens-based media, with research interests that range from social history and environmental subjects, to literature and contemporary art. Climate Symphony is a project by Leah Borromeo and Katharine Round of Disobedient Films with composer Jamie Perera that turns hard data on climate change into a symphony that tells the story of what climate change means through sound. Take part in the first participatory lab at ONCA and learn more about Climate Symphony while generating and composing sound and music that will become part of the exhibition. Open to anyone to take part, musical knowledge is not essential but will be helpful! Booking Essential. RSVP to [email protected] for full details. Maud Sulter, Duval et Dumas: Duval, 1993, from the series SYRCAS, photomontage, 100 x 84 cm. © The Estate of Maud Sulter Image supplied courtesy of the Estate of Maud Sulter. Secret Agent is a group exhibition composed from the viewpoint of feminist authorship and forms of collaboration in contemporary photography and film making practices. The six artists in the exhibition actively challenge the institutional structure of history and patriarchal authority – and imagine alternative narratives through the specificity of lens-based media. Acts of image-making, archiving, and guerilla information tactics enable visibility and challenge relationships between author and authority. The exhibition title, Secret Agent, is inspired by artist Oreet Ashery and academic Catherine Grant, who describe feminist cultural production as an ‘invisible agent’ and generative informant for ‘different kinds of subjectivity and agency under patriarchy’. 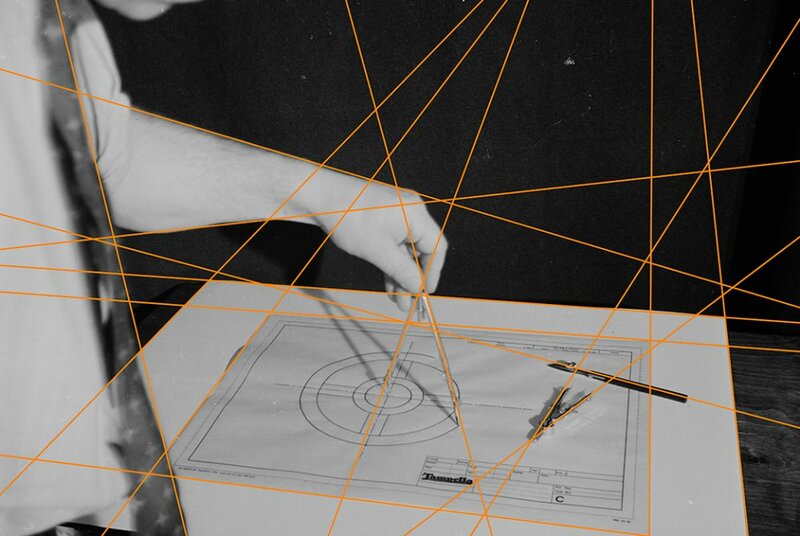 Grant suggests broadening notions of what constitutes primary texts, and exploring more rigorous methods of interactional, inter-subjective, or interdisciplinary approaches to critical analysis, also for artists’ to broaden auteurial imaging. Representation of western history through both image and text, with the inherent parallels between notions of historical and photographic truth, and the legacy of radical image/text practice in the 1970s and 1980s is central to the development of this exhibition. Each artist utilises language and the literary in dialogue with image-making to harness the intertextual, as archival photographs and stock footage are transformed through repetition, re-staging and re-imagining. The enabling of voice(s) of authorship whereby subjectivity is activated in order to challenge the ideology of individualism and the singularity of the art historical canon and history itself, is what Janet Staiger describes as the ‘technique of the self’. This consideration of the self in relation to, and together with others, draws away from the photographic as exacerbating difference or the implicated position of a directed camera, and generates an argument for collaboration and collectivity. 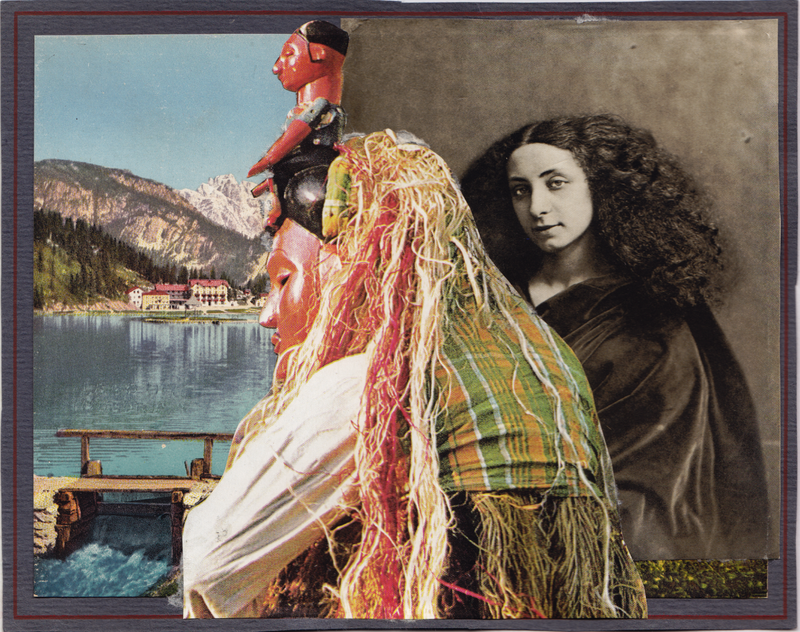 Maud Sulter’s photomontage diptych Duval et Dumas, 1993 from the series Syrcas provides historical context for this exhibition. Sulter was a writer, artist, poet and publisher who moved between a literary and visual practice; utilising vernacular language and images as a tool to create visibility for black women in dominant historical narratives, as well as highlighting the relationship between European and African histories and cultures. Syrcas, is a series of large scale reproductions of small photomontages. Made from cut material of books and catalogues on African and European art, travel and vernacular images, the prints are concerned with fragments, traces and disappearance. Jeanne Duval, a recurring figure in Sulter’s work, was Charles Baudelaire’s muse who appeared in an early photograph by Nadar captioned Unknown Woman, and represents displacement, invisibility and the intertwining of seemingly disparate cultures. Since the 1970s, feminists such as Hélène Cixous have also written about the continued importance of self-historicisation by women to ‘transform their history, to seize the occasion to speak’. This philosophical position of écriture féminine directly addresses the transformation of subjectivity and contention of sanctioned identity. 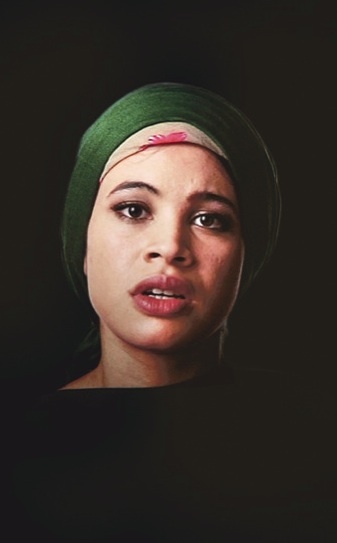 Judith Barry’s …Cairo stories, 2012 is based on more than 200 interviews conducted with women from various social and economic classes in Cairo between the US invasion of Iraq in 2004 and the Egyptian Revolution in 2011. The interviews were a collaboration between the artist and the subjects, insofar as the translators and interviewees were active participants in both the narrative arc of their stories and the development of the project as a whole. The work expands the artist’s concerns with notions of representation, history, subjectivity and translation – particularly as these ideas circulate across cultures. It is through both writing and foregrounding the collective female voice that …Cairo Stories opens a space for embodying a new subjectivity. 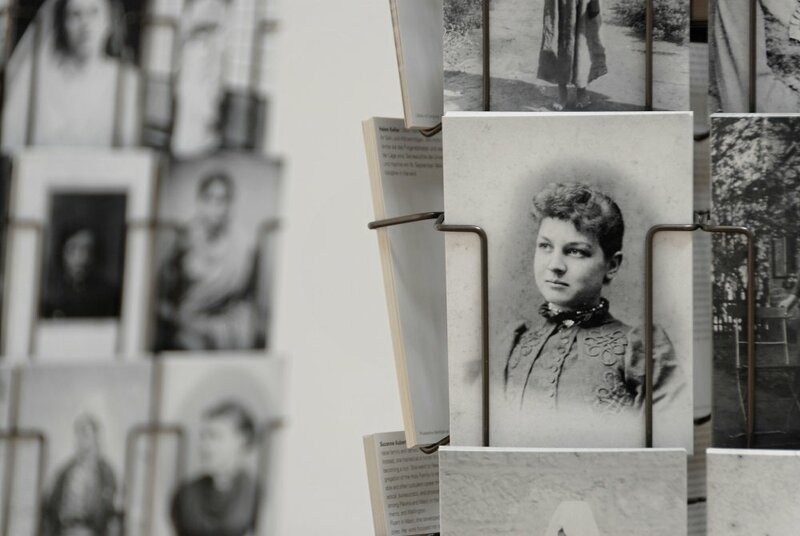 Mathilde ter Heijne’s Woman to Go, 2005 – ongoing, is a collaborative and interactive art piece of portraits of unknown women and biographies collected from all over the world, and is a project that will continue by incorporating six new unknown portraits from the collection at the Finnish Museum of Photography, Helsinki. Each postcard shows a portrait of an unknown woman that lived between 1839 (the birth of photography with the introduction of the daguerreotype in France and the calotype process in Britain) and the 1920s. On the message side of the postcard is the biography of a known woman who was influential or extraordinary in her time. These women, whose biographies are known, all struggled for their individual goals in a world where predominantly men or class hierarchy dictated what was thought to be worth remembering. The motif of the ‘unknown figure’ is a constant and repeated presence through works that explore visibility and disappearance. Niina Vatanen’s series Archival Studies/A Portrait of an Invisible Woman, 2014, expands upon this motif and is made using an archive from the collection of the Finnish Museum of Photography. In the selection of works presented here, Vatanen makes visible the processes, methods and decisions of photographic production in dialogue with the anonymous subjects from Helvi Ahonen’s life. Through the re-presentation of the archive, the artist proposes the possibility of multiple interpretations of photographic images and historical narratives, and highlights the complexity of the relationship between artist and subject, and also the act of seeing. Encountering a quote by producer Chuck Rolando: “We were forced to build fake singers in order to sell more records. The mass tends to buy and listen to what they like to see”, artist Chiara Fumai presents her point of view on a genealogy of the Italo Disco phenomenon through Chiara Fumai Introduces Nico Fumai, 2015. The work focuses on the complex relation between the artist and the audience in the post-production era, processes of abstraction through the personal biography, and lack of attention to content by the mass. In this series of appropriated records, Chiara remakes the album covers from fragments of her own family album and transforms her father into a pop star to tell a history of the subculture genre of music. By the removal of a strong identity of the author – where the voice goes ‘off stage’ – and ego is fragmented, an era of public imagination is created through the phenomena of disco. 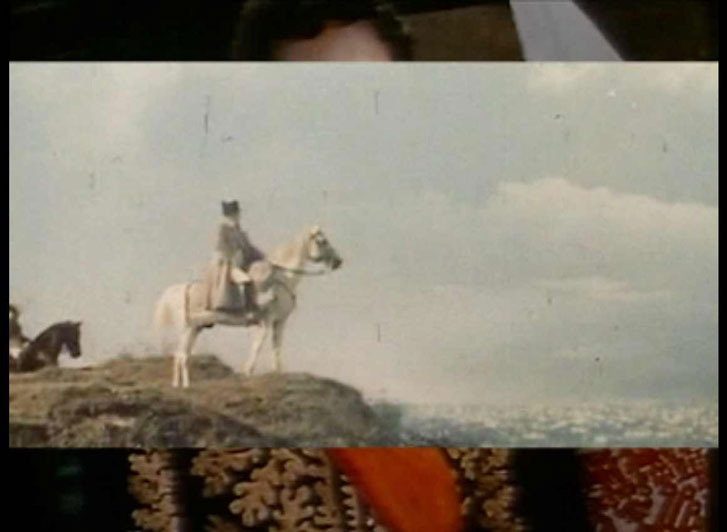 In the evocative and absurd film Look at that sky, 2011, artist Beth Collar playfully inhabits the mindset of Napoleon during his Russian campaign, and occupies this epic male narrative to play out her desire to take part in history. The film becomes a beguiling critique of the surveying viewpoint as a dominant strategy, and questions the heroic, individual historical figure in parallel with the film director as auteur amidst the collaborative practice of filmmaking. Judith Barry lives and works in New York. Barry studied at the University of California, Berkeley, and received an MA in Communication Arts, Computer Graphics, from the New York Institute of Technology in 1986. She trained in architecture, art, literature, film theory and computer graphics and her work encompasses a number of disciplines including performance, installation, film and video, sculpture, photography and new media. Barry has exhibited in many international contexts, including at Documenta XIII, Sharjah Biennial 10, Cairo Biennale 2001, Venice Biennale of Architecture 2000, Sao Paulo Biennale 1994, Nagoya Biennale 1993, Carnegie International 1992, Whitney Biennale 1987. In 2000, Barry won the Federick Kiesler Prize for Architecture and the Arts and was awarded Best Pavilion at the Cairo Biennale. A major survey of her work was mounted at DA2 Salamanca, Spain, 2008 and Berardo Museum, Lisbon 2010. Beth Collar currently lives and works in Bristol, UK. She studied Sculpture at the Royal College of Art. She works in performance, drawing, video and installation. Recent projects and performances have been presented at The Rijksakademie, Amsterdam, NL; Raven Row, London, 2015; The Serpentine Gallery, London, 2015; David Roberts Art Foundation, London, 2014; Hayward Gallery, London, 2014; Modern Art Oxford, Oxford, 2014; and Flat Time House, London, 2014. Recent exhibitions include Fig.2 at ICA, London, 2015; The Cipher and the Frame, Cubitt, London, 2015; Anatomy of Anxieties at Edouard Malingue Gallery, Hong Kong, 2014; SOME CHTHONIC SWAMP EXPERIENCE at Tintype, London, 2014; Edition One residency at Detroit, Bristol 2013/14; From script to reading to exhibition to performance to print, Rowing, London, 2013; ANCIENT BRITAIN at The Woodmill GP, London 2012; and The London Open, Whitechapel Gallery, 2012. Chiara Fumai lives and ‘unworks’ in Milan. Her practice begins with performance, where she becomes a medium for radical figures of the past, and (mis)interprets their stories to question both meaning and representation. Fumai’s performances are often transformed into other media, such as installations, videos, sound, collage, embroidery, and experimental self-portraiture. Recent one-woman-shows include Der Hexenhammer, Museion, Bolzano, 2015; With Love from $inister at A Palazzo Gallery, Brescia, 2013 – 2014; С любовью от $инистера at Victoria Gallery, Samara, 2014; I Did Not Say or Mean ‘Warning’, Fondazione Querini Stampalia, 2013. Recent group exhibitions and performances have been presented at David Roberts Art Foundation, London, 2015; CA2M Centro de Arte Dos de Mayo, Madrid, 2015; Whitechapel Gallery, London, 2014; De Appel Arts Center, Amsterdam, 2014; Nottingham Contemporary, 2014 and Fiorucci Art Trust, London, 2014. Mathilde ter Heijne is a Dutch artist living and working in Berlin. Primarily working within the media of video, performance, and installation practices, she studied in Maastricht at the Stadsakademie (1988-1992), in Amsterdam at the Rijksakademie van Beeldende Kunsten (1992-1994), and since 2011 has been a professor of Visual Art, Performance, and Installation at Kunsthochschule Kassel. Recent solo exhibitions include Performing Change, Museum für Neue Kunst, Freiburg, 2014; Woman to Go, Deutsche Bank VIP Lounge, frieze Art Fair, London,2013; Olack!, DEPO, Istanbul, 2010 and Long Live Matriarchy!, Stedelijk Museum Bureau, Amsterdam, 2009. Maud Sulter (1960–2008) was an award-winning artist and writer, curator and gallerist of Ghanain and Scottish heritage who lived and worked in Britain. She exhibited widely and represented Britain at Africus, the Johannesburg Biennale of 1995. Her art has been acquired by numerous private and public collections, including the Scottish Parliament, the Arts Council Collection, the Victoria and Albert Museum, the British Council Collection, the National Galleries of Scotland, and the National Portrait Gallery in London. She wrote several collections of poetry, and edited a pioneering collection of writings and images, Passion: Discourses on Black women’s Creativity’ published by the imprint she founded, Urban Fox Press, ‘a revolutionary new press for the more radical 90s’. She was active in the Black feminist and lesbian movements, often inspired by African-American activists, artists and writers. She founded at gallery a gallery, Rich Women of Zurich in London’s Clerkenwell, and curated nearly 20 exhibitions. A recent retrospective of her work Maud Sulter: Passion was held at Street Level Photoworks, Glasgow in 2015. Niina Vatanen lives and works in Helsinki, Finland. She studied photography at the University of Art and Design Helsinki, Academy of Fine Arts in Helsinki, and the Department of Fine Arts at the University of Barcelona. Vatanen often uses simple, playful interventions to point our gaze directly at the photographic surface, revealing the act of seeing as an inherent element of photography, and explores perception in the interaction between the visible and the not-visible. Her solo exhibitions included Beyond the Visible Surface, C/O Berlin, Berlin, DE, Archive Play, Golden Thread Gallery, Belfast, GB, Cloud Hunter’s Eyes, TR1 Kunstalle, Tampere, FI in addition to group exhibitions at Athens Photo Festival, Brighton Photo Biennial, Danish National Museum of Photography, Palais des Beaux Arts de Lille, and others. Unstable presents the work of five contemporary photographic artists, whose work is exhibited in a continual state of change rather than representing a permanent record. The exhibition features photographic works that are unfixed or heat sensitive, where the once captured image will fade away, challenging the permanence of the photograph and the photograph as evidence. Light, the very thing that creates a photograph is also the thing that can destroy it. Visitors to the exhibition have the opportunity to interact with the work, so that it transforms gradually during the course of the exhibition. As visitors to the exhibition you are not only viewing the work but are also participating in its destruction, and can experience the frustration of not being able to go back in time as the images disappear from sight. ‘…the melancholy fact that, that though a photograph maybe ever so beautiful, it is but a transitory thing, and the chemicals of which it is composed are destined in a very short space of time to resolve themselves into air, and leave no trace behind them.’ ‘Benjamin Stone’s Collection of Photographs at the Conversazione’, Aris’s Birmingham Gazette, 1872. September – October 2014: at ARTicle Gallery, Birmingham, U.K. Contact Light presents the work of five contemporary photographers whose work investigates the practice of astronomy, space phenomena and space exploration. Each of the artists selected for Contact Light have focused on the outer reaches of our solar system, or the desire to travel through space, and offer their subjective perspectives and concerns to this fascinating subject. In My Father’s Wrinkles Alfonso Almendros takes a journey through his own memories of his late father, using lunar landscapes and observations. Both the moon and his father are distant beings, only made a reality through documentation and photographs proving both their existence. Paul Freeman’s work Visit Space documents the impact and reach of recent space travel tourism. Photographer Barry Hughes takes NASA’s NEOP (Near Earth Object Programme) as both his inspiration and title for his work, investigating astronomical phenomenon using earth bound physical objects. Melanie King’s First Light is a research project investigating the connections between photography and astronomy, using traditional photographic techniques to display her findings. Sophy Rickett’s work Objects in the Field was developed out of a residency at the Institute of Astronomy in Cambridge and the work of retired astronomer and scientist Dr Roderick Willstrop. Rickett’s work aesthetically reproduces the negatives produced by Willstop’s Three Mirror Telescope in the 80s and 90s. Contact Light is curated by Michael Sargent and Claire Reece. In association with SHOW.ME.PICTURES and Hemera collective; Fangfei Chen, Jamie Marie Davis, Ashley Lumb and Kay Watson.